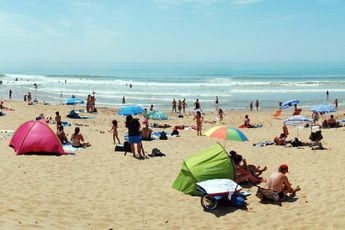 Les Blancs Chênes campsite welcomes you to lush natural area located just 1.8 km from the beach in the famous seaside resort of La Tranche sur Mer in Vendée. Here, your stay will be filled with many sports and fun activities which can be found onsite. Off-site, you can also explore the region and all its richness. The campsite has a huge water park that includes an indoor pool and outdoor pools with slides, allowing you to swim and have fun with your family. Children can burn up some energy on the playground, while you relax in the whirlpool and sauna. Discover the many activities on offer: weightlifting, mini-golf, basketball and even volleyball. In the evening, enjoy the entertainment at the disco and shows in a very social atmosphere. 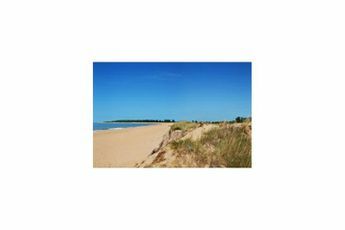 Near the campsite, the beach is a place where the whole family can relax or swim. A free shuttle bus takes you to the beach (in July and August). During your stay, you can enjoy many services such as a restaurant, a bar, a grocery store, laundry facilities and internet access. During your family outings, visit Puy du Fou and Venise Verte, and follow the numerous paths that lead you to natural sites with magnificent landscapes. La Roche sur Yon station (38 km). 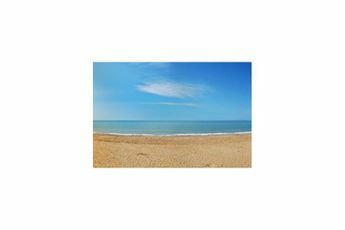 Nearest town La Tranche sur Mer (3 km). 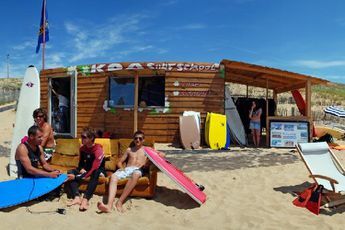 Choose a camping holiday on the Atlantic coast, in the region of Pays de la Loire. Les Blancs Chênes campsite welcomes you to Vendée, in the community of la Tranche sur Mer. 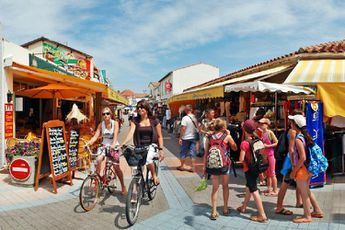 Facing the Ile de Ré, la Tranche sur Mer offers 13 km of fine sand beaches and a beautiful view. 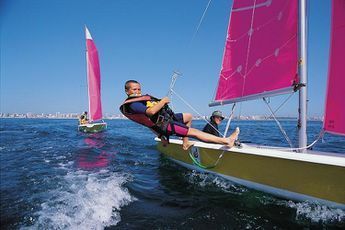 It is the perfect place to take part in water activities. On land, bike paths and hiking trails invite you to go for some beautiful rides and walks. Nearby, don't miss the Puy du Fou theme park.